Guruvayoor / Guruvayur - Web Abode of LORD KRISHNA - GURUVAYOORAPPAN. Krishna Guruvayoorappa ! You hear these words quite often in Kerala. Guruvayoorappan has a distinct place in every heart and every household. Guruvayoorappan “Lord Krishna” is THE GOD of “God's own country” ! Guruvayoor has emerged as one of the most important places of worship in Southern India like Tirupati and Sabarimala. 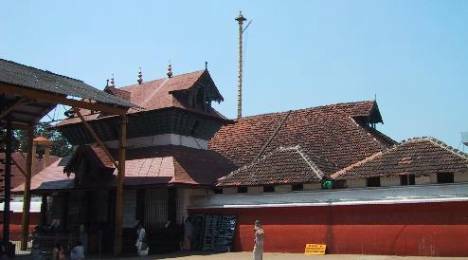 It is more than a spiritual journey for hundreds and thousands of people who visit Guruvayoor irrespective of their age and origin. This is your site – A site for all devotees to share their experiences, stories, pictures and any other material related to Guruvayoor and Lord Krishna. Please send any material related to Guruvayoor that you would like to see here. I will be glad to include your name along with your contribution. I request all of you join and actively participate in Guruvayoor / Guruvayur discussion forum, a forum dedicated for Guruvayoorappan devotees.